The Nationalist Party lost its last election by a staggering majority. 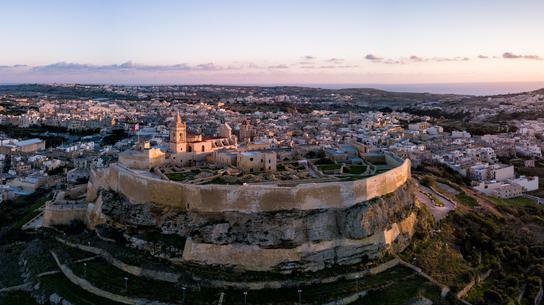 It is no secret that for decades Gozo has been treated like a political football by both major parties and considered as the last political frontier or last bastion to overcome. Labour won this election and won Gozo’s support for many reasons which are not important in the context I am writing. My attention is more focused on the strategy used by both political parties to win Gozo. On one side we had Labour, fulfilling many pre-electoral promises, dishing out jobs in every nook and cranny of public offices, while we had a PN with what was supposed to be an electoral programme dedicated for Gozo. The main strategist behind this programme was none other than engineer Simon Mizzi, who was recently appointed as Opposition representative on the Environmental and Resources Authority. The plan was to collect as many ideas from people and to gather them in one electoral programme. I won’t be disclosing any state secret by revealing that well over 400 ideas made it to table with just about a 100 making it to final print on the eve of election. Out of so many good ideas and so many holistic plans given to PN, only three proposals were being constantly trumpeted by then party leader Simon Busuttil. The first was the grant of €10,000 for every newly-wedded couple who decided to move to Gozo. The second proposal was the promise that an elected PN would ensure that Gozo would achieve the status of a region, which would entitle it to acquire around €250 million in EU funds. The third was a better health system. In a recent spate of personal attacks against Arnold Cassola, following his articles posing very pertinent questions related to the underlying environmental impact of the proposed tunnel, Mizzi commits a massive blunder. He states that electric cars are the future. What is so intriguing is that such a comment shows a surprising amount of contradiction, when taking into consideration that his ex-boss, Busuttil, was promoting a national commuter transportation system, which was effectively a strategy that would do away with increasing private car use, and really working on lowering traffic congestions. What is even more contradictory is the fact the Mizzi seems to set aside the promise made by his own pen that Gozo should become a region and is now trumpeting the tunnel as the best gift Gozo is receiving from his political adversaries. We all know that the idea of a tunnel was the populist baby of the Labour Party. It was only later on during the campaign that the PN rode on the same bandwagon, when it realised that unless they gave in to Labour’s promise, they would suffer a mortal blow in Gozo. The PN opted to offer the same material as Labour did, rather than offer feasible and environmentally friendly alternatives, which today are proving to be far more sustainable, more popular and intrinsically much more beneficial to Gozitans and Gozo. The main issue here is not so much the actual blunders of Mizzi or his fellow Jonathan Mintoff, founder of Front Favur il-Mina, PRO of GBC and member of the regional committee of Gozo, who seems unable to decide which agenda to push, but their sheer arrogance when it comes shutting up people. I have been in the unfortunate situation where in two instances, I have had my comments and responses removed from a social group called Gozone, simply because one administrator was threatened by a lawyer of GBC and by three other thugs who deemed my exposure of Mizzi’s agenda, as being politically motivated and claimed that my posts had no place on the group. Sadly one administrator gave in to the thugs. Such reactions clearly expose the hypocrisy of some members of the PN who on one hand excel at pontificating on the freedom of expression, and on the other hand do their best to shut down comments which expose their bare naked personal hidden agendas. It sure seems like some of the old PN have managed to slip their way in to the new way of doing things, and I find no reason to doubt that this is one of the reasons why the present PN cannot catch a breath of fresh air. The same old failed strategists have managed to mingle themselves with the new crowd and are the ones damaging the PN from the core. Unless they are filtered out and removed, the PN will remain unelectable for the foreseeable future.